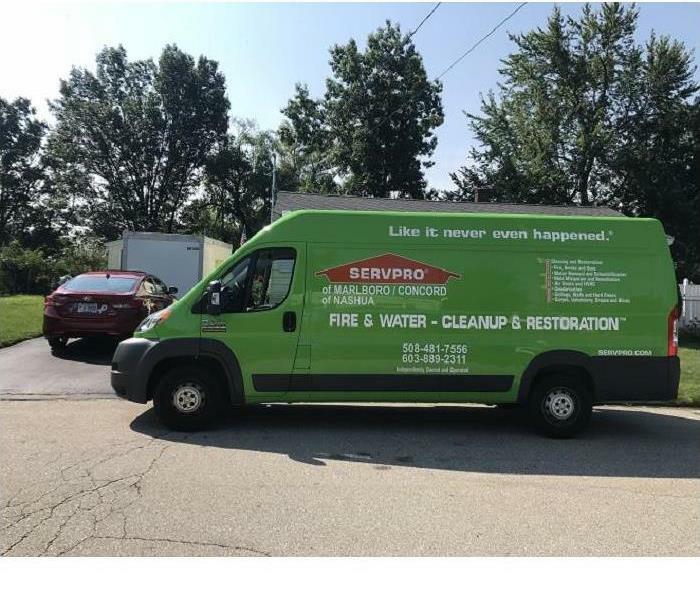 SERVPRO of Nashua joined hundreds of other people to help raise awareness. 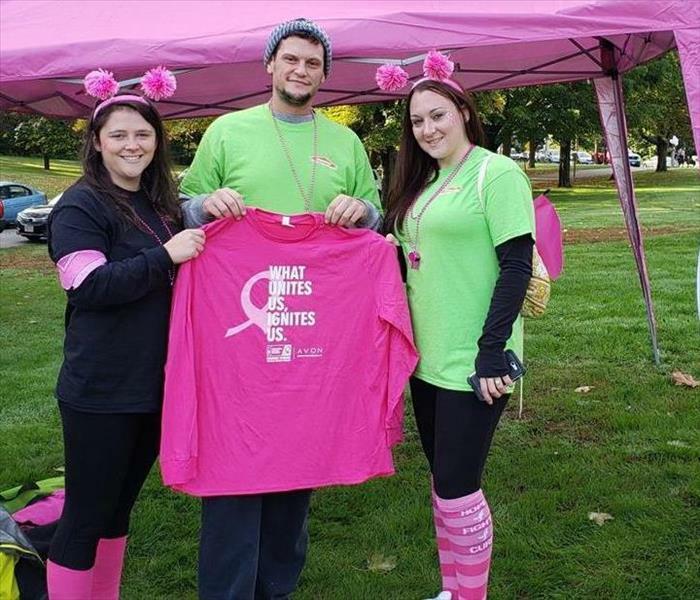 The office crew showed support by walking the 5k and making Strides Against Breast Cancer. 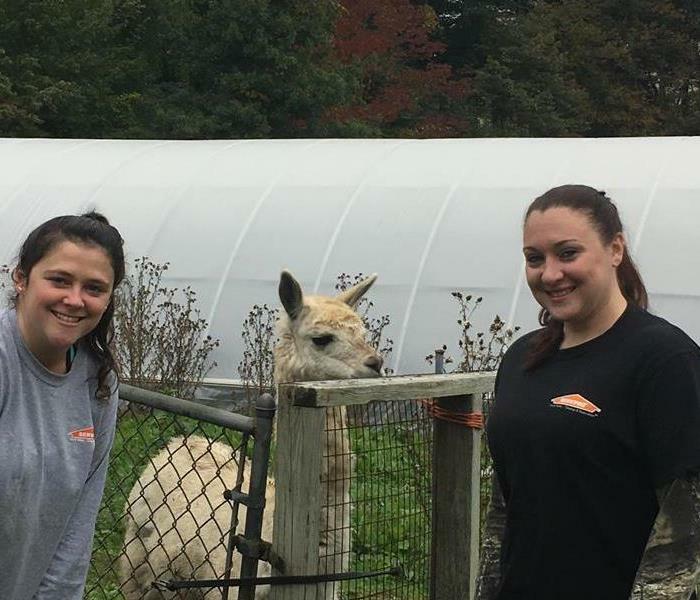 Our office girls went to help volunteer at Sullivan Farm Apple Festival this past Saturday. Besides helping around with the events, the girls made some furry friends along the way! 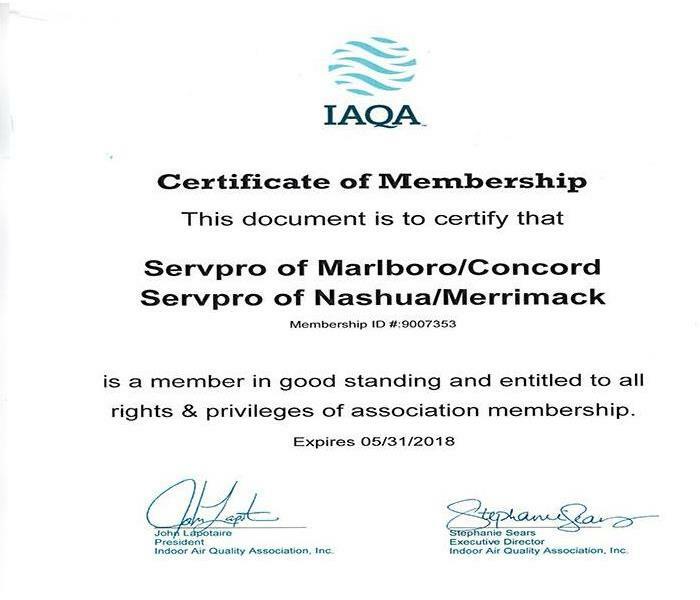 The Indoor Air Quality Association (IAQA) presented a certificate of membership to SERVPRO of Nashua. 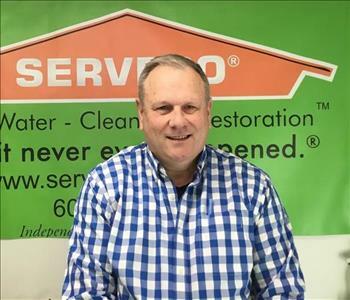 The members of IAQA share knowledge of the industry, encouraging each member forward, and perfect our craft so that the industry can grow. The IAQA has 5 Pillars of Excellence which include Member Engagement, Communication and Connection, Education, Operational Excellence, and Collaboration.